The EN50155 certificatied ITP series meets EMC (Electromagnetic compatibility standard) requirements and EMS (Electromagnetic Susceptibility Protection) for surge, EFT, ESD, PFMF, DIP and other requirements. It is worth mentioning that the input voltage specification contains a requirement to deal with power interruptions. Conforming to EN61000-4-11 Voltage DIPs & Interrupts requirements, ITP’s power supply can provide steady power without functional failures at interruptions of up to 10 ms. In addition, the ITP series can withstand environmental disturbances including vibration and shock variations (IEC-61373). 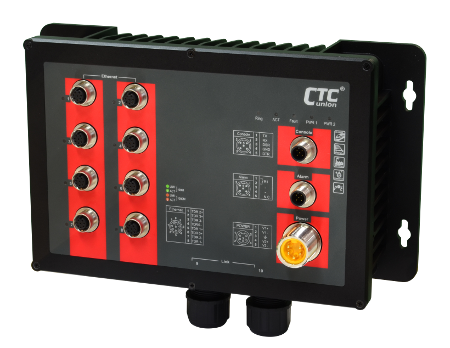 Equipped with these features, the ITP series is ideal for deployments in railways, buses, subways, high speed railways, transport and other industrial environments. 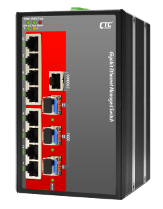 The IPS-G803SM Managed Gigabit Ethernet Switch is designed to meet the demands of power substation systems and is fully compliant with the requirement of IEC 61850-3 and IEEE 1613. The switch provide a variety of redundant functions to increase the reliability of your communications system, including redundant and isolated power supplies (24/48 VDC) and 110/220 VDC/VAC), STP/RSTP/MSTP and ITU-T G.8032 Ethernet Ring Protection Switching (recovery time<50ms). It is compatible with other switches in the network for ring protection. The proprietary μ-Ring (with recovery time of less than 20ms) can work with a variety of our industrial managed switches for ring protection. The switch also provides many functions, such as Web management, SNMP, IGMP, VLAN, LACP, QoS, Security, IPv6, bandwidth control, port mirroring, cable diagnostics and Green Ethernet. The IPS-803GSM Managed Fast Ethernet Switch is designed to meet the demands of power substation systems and is fully compliant with the requirement of IEC 61850-3 and IEEE 1613. 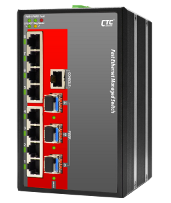 The switch provide a variety of redundant functions to increase the reliability of your communications system, including redundant and isolated power supplies (24/48 VDC) and 110/220 VDC/VAC), STP/RSTP/MSTP and ITU-T G.8032 Ethernet Ring Protection Switching (recovery time<50ms). It is compatible with other switches in the network for ring protection. The proprietary μ-Ring (with recovery time of less than 20ms) can work with a variety of our industrial managed switches for ring protection. The switch also provides many functions, such as Web management, SNMP, IGMP, VLAN, LACP, QoS, Security, IPv6, bandwidth control, port mirroring, cable diagnostics and Green Ethernet. The ITP-500-67 (ITP-800-67) Series non-managed Fast Ethernet switches provide 5(8)x 10/100Base-TX Fast Ethernet ports. This series of unmanaged Ethernet switches is designed for industrial applications in harsh environments. The ITP-500-67 (ITP-800-67) series switches Ethernet ports utilize M12 connectors to ensure tight, robust connections and guarantee reliable operation against environmental disturbances such as vibration and shock. 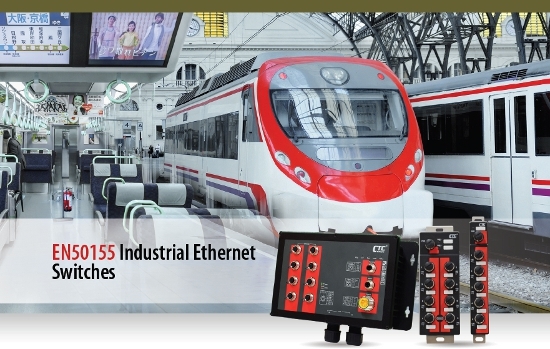 The ITP-500-67 (ITP-800-67) series Ethernet switches are compliant with EN 50155, covering operating temperature, power input voltage, surge, ESD, vibration, and shock, thus making these switches suitable for industrial applications in vehicle, rolling stock and railways. The ITP-G802SM series are managed industrial grade Gigabit switches and/or 2 SFP Gigabit/Fast Ethernet ports that provide stable and reliable Ethernet transmission.The ITP-G802SM series provides L2 management functions including STP/RSTP/MSTP/ ITU-T G.8032 Ring and multiple u-Ring for redundant cabling, layer 2 Ethernet IGMP, VLAN, QoS ,Security, IPv6, bandwidth control, port mirroring, cable diagnostic and Green Ethernet. Housed in rugged DIN rail or wall mountable enclosures, these switches are designed for the harshest environments. The ITP-G802SM series switches use M12 connectors to ensure tight, robust connections and to guarantee reliable and anti environmental disturbances operation, such as vibration and shock. The ITP-G802SM series are compliant with EN 50155, covering power input voltage, surge, EFT, ESD, vibration, shock, thus making the switches suitable for industrial applications, such as vehicle, rolling stock, ship, vessel. The ITP-G802SM series are IP67 rated to protect against dust and water submersion. They are particularly used in environments with extreme temperatures, high humidity, oil, dust and in outdoor environments requiring water-proof applications such as automation, city security. The ITP-802GSM series are managed industrial grade Gigabit switches that provide stable and reliable Ethernet transmission in challenging environments. The ITP-802GSM series provides L2 management functions including STP/RSTP/MSTP/ ITU-T G.8032 Ring and multiple u-Ring for redundant cabling, layer 2 Ethernet IGMP, VLAN, QoS ,Security, IPv6, bandwidth control, port mirroring, cable diagnostic and Green Ethernet. Housed in rugged DIN rail or wall mountable enclosures, these switches are designed for the harshest environments. The ITP-802GSM series switches use M12 connectors to ensure tight, robust connections and to guarantee reliable and anti environmental disturbances operation, such as vibration and shock. The ITP-802GSM series are compliant with EN 50155, covering power input voltage, surge, EFT, ESD, vibration, shock, thus making the switches suitable for industrial applications, such as vehicle, rolling stock, ship, vessel. The ITP-802GSM series are IP67 rated to protect against dust and water submersion. They are particularly used in environments with extreme temperature, high humidity, oil, dust and in outdoor environments requiring water-proof applications such as automation, city security. The ITP-800-8PH24 is a non-managed Fast Ethernet PoE switch that provides 8 10/100Base-TX PoE+ Fast Ethernet ports. The Ethernet switch is designed for industrial applications in harsh environments. 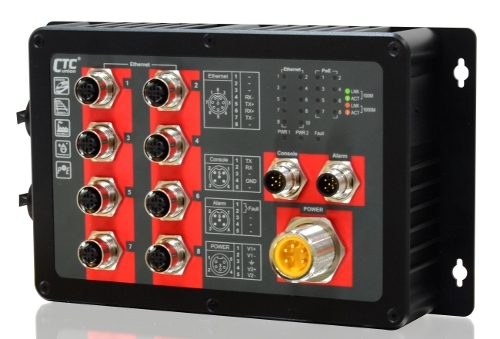 The switch's Ethernet ports utilize M12 connectors to ensure tight, robust connections and guarantee reliable operation against environmental disturbances such as vibration and shock. The ITP-800-8PHE24 series Ethernet switches are compliant with EN 50155, covering operating temperature, power input voltage, surge, ESD, vibration, and shock, thus making these switches suitable for industrial applications in vehicle, rolling stock and railways. The ITP-G802SM-8PH24 series are managed industrial grade Gigabit PoE (Power over Ethernet) switches with 8x 10/100/1000Base-T PoE ports and/or 2 SFP Gigabit/Fast Ethernet ports that provide stable and reliable Ethernet transmission. The ITP-G802SM-8PH24 series is equipped with PoE features that enable power and data to be transferred via a single cable, thereby considerably reducing cabling expense. The ITP-G802SM-8PH24 series also provides a variety of functions to manage PoE operation including PoE device auto-checking, auto reset, PoE power weekly scheduling. Other L2 management functions supported include STP/RSTP/MSTP/ ITU-T G.8032 Ring and multiple u-Ring for redundant cabling, layer 2 Ethernet IGMP, VLAN, QoS, Security, IPv6, bandwidth control, port mirroring, cable diagnostic and Green Ethernet. Housed in rugged DIN rail or wall mountable enclosures, these switches are designed for the harshest environments. 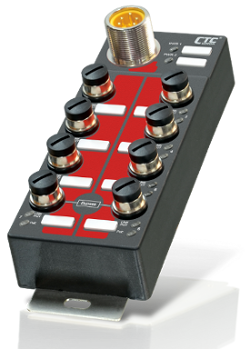 The ITP-G802SM-8PH24 series switches use M12 connectors to ensure tight, robust connections and to guarantee reliable and anti environmental disturbances operation, such as vibration and shock. The ITP-G802SM-8PH24 series are compliant with EN 50155, covering power input voltage, surge, EFT, ESD, vibration, shock, thus making the switches suitable for industrial applications, such as vehicle, rolling stock, ship, vessel. The ITP-G802SM-8PH24 series are IP67 rated to protect against dust and water submersion. They are particularly used in environments with extreme temperature, high humidity, oil, dust and in outdoor environments requiring water-proof applications such as IP surveillance, city security. The ITP-802GSM-8PH24 series are managed industrial grade Ethernet PoE (Power over Ethernet) switches with 8x 10/100Base-TX PoE ports and/or 2 SFP Gigabit/Fast Ethernet ports that provide stable and reliable Ethernet transmission in challenging applications. The ITP-802GSM-8PH24 series is equipped with PoE feature enable power and data to be transferred via a single cable, hereby considerably reducing cabling expense. The ITP-802GSM-8PH24 series also provides a variety of functions to manage PoE operation including PoE device auto-checking, auto reset, PoE power weekly scheduling. Other L2 management functions supported include STP/RSTP/MSTP/ ITU-T G.8032 Ring and multiple u-Ring for redundant cabling, layer 2 Ethernet IGMP, VLAN, QoS ,Security, IPv6, bandwidth control, port mirroring, cable diagnostic and Green Ethernet. Housed in rugged DIN rail or wall mountable enclosures, these switches are designed for the harshest environments. The ITP-802GSM-8PH24 series switches use M12 connectors to ensure tight, robust connections and to guarantee reliable and anti environmental disturbances operation, such as vibration and shock. The ITP-802GSM-8PH24 series are compliant with EN 50155, covering power input voltage, surge, EFT, ESD, vibration, shock, thus making the switches suitable for industrial applications, such as vehicle, rolling stock, ship, vessel. The ITP-802GSM-8PH24 series are IP67 rated to protect against dust and water submersion. They are particularly used in environments with extreme temperature, high humidity, oil, dust and in outdoor environments requiring water-proof applications such as IP surveillance, city security. The ICS-G24S4X & ICS-G24S2X are Ethernet Core Switches that are equipped with 24 Gigabit SFP ports with 4 combo ports plus 2 or 4 10G SFP+ ports. ICS series models are all fanless with redundant isolated power supplies (2 AC, 2 DC, AC + DC) and can be mounted in 19 inch standard rack. They not only offer various layer 2 management functions (IGMP, VLAN, QoS , Security, IPv6, bandwidth control, port mirroring, cable diagnostic and Green Ethernet) but also support u-Ring redundancy protocol that can establish 14 independent rings for flexible applications, especially employed in backbone infrastructure. Housed in rugged rack mountable enclosures, ICS Series complies with many industrial-grade standards and are ideal for deployments in harsh environments to deliver mission-critical network services. Additionally, with high port density and Gigabit or 10 Gigabit high-speed feature on each port, ICS-G24S4X & ICS-G24S2X are a reliable and scalable solution for core layer or backbone applications.